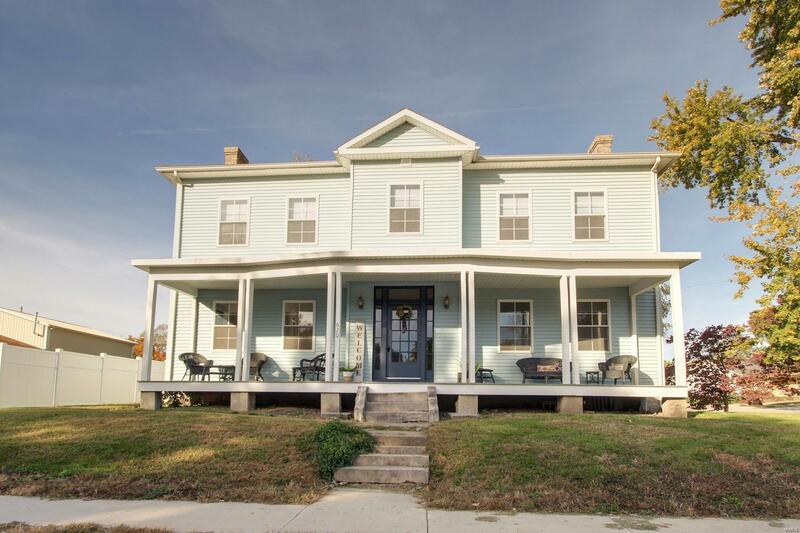 So much to love about this grand historic home situated on beautiful N Main St in Palmyra! With over 2300 sq ft and a 2.5 car attached garage with workshop space you'll have all the room you need. Relax on your large, covered front porch and enjoy the weather rain or shine! This well maintained home boasts of characteristic huge rooms, tall ceilings, and all the charm you would expect in an older home as well as updates including double pane vinyl replacement windows, refinished hardwood floors, and newer bathrooms. Breathtaking foyer with hardwood floors that run throughout the home, an open stair case, and hand carved accent pieces. Convenient main floor laundry in the mudroom separates the garage from the house. Spacious eat in kitchen complete with a generous pantry and half bath. Main floor master has a sitting area that could easily be converted into a walk in closet and private master bath with a stand up shower and jetted tub perfect for relaxing after a hard days work.